It's Midsummer's Eve, the celebration of the longest day of the year, and on Sandhamn it's the longest party of the year. But the fun comes to a dead halt when a young reveler is murdered, a teenage girl is found drugged and dazed on the beach, and other young women vanish. So far, what links the victims is a mystery. For Nora Linde and her new boyfriend, Jonas Sköld, the crimes are personal: one of the missing girls is Wilma, Jonas's daughter. And her disappearance could test Nora and Jonas's relationship in ways they never expected. Thrust into the investigation, they soon discover that it's more than a case of bad blood between friends. But the truth, which has receded into a haze of carousing, drugs, and liquor, is getting harder to see. 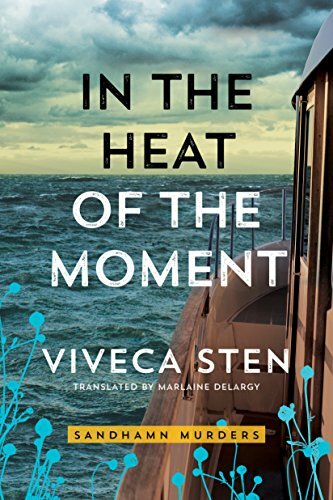 If Nora and Jonas are going to find out what happened to Wilma, they'd better do it fast—before the ebbing tides sweep away all the terrible secrets of that night on Sandhamn Island.